Our picnic basket are online ! 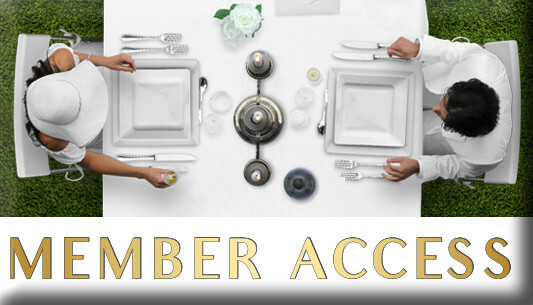 Always with the aim of simplifying as much as possible the 16th evening, all the members have access to the various articles available on our e-store.You will be able to find the usual catering baskets, imagined this year by Le Marché Artisans of Fairmount Hotel, Société Traiteur and Le Webster. Different options for good and original dishes for 2 people, between 75 and 85$. 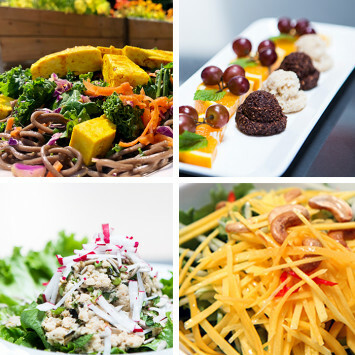 Take a look to the amazing menus ! Our traditional Most Beautiful Sign contest ! 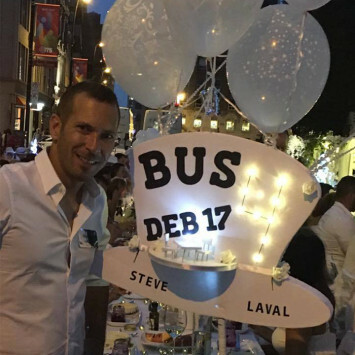 The Dîner en Blanc de Montréal is blessed with a team of meticulous, dedicated and motivated volunteers! All do their utmost to make the evening as dazzling as possible. To put a little spice on this festive evening, we reiterate this year the contest of the "Most Beautiful Sign". We therefore invite all group leaders and table leaders to create the most beautiful sign, which allows them to be recognizable by the members of their group. Feathers, wood, light, glitter ... no limit! Only that of your imagination! 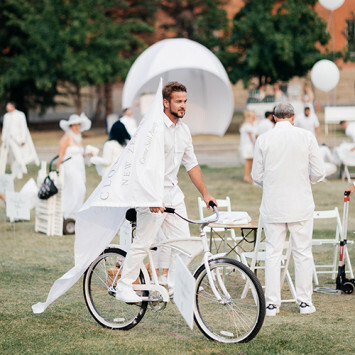 All, of course, in the chic and elegant spirit of the Dîner en Blanc. 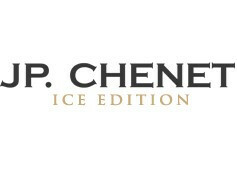 Dîner en Blanc International is thrilled to announce ACE Bakery as its official Bakery Partner and is proud to present the perfect bread pairing for an evening of fine dining! 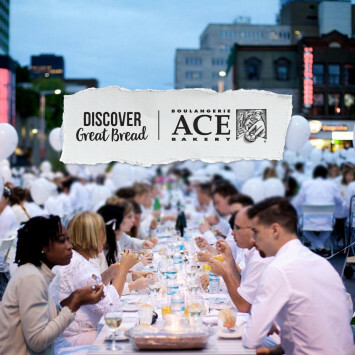 Discover Great Bread with ACE Bakery at Diner en Blanc Montreal – because an extraordinary night deserves extraordinary bread. Don’t forget to stop by the ACE Bakery tent to pick up your delicious complimentary ACE demi baguette perfectly paired with Boursin Cheese to complement a magical evening.